We Have been in business for over 18 years and have been voted Tullahoma's finest for 15 years in a row. We strive to give your pet the best grooming and boarding experience possible. Come by and check us out. Mission Statement: We strive to make sure that your dog is as safe and secure and treated as good as they are at home. We are winner of the Tullahoma's Finest Award 2005, 2006, 2007, 2008, 2009, 2010, 2011, 2012, 2013, 2014, 2015, 2016, 2017 ,2018 and 2019. We have been in business for over 18 years. 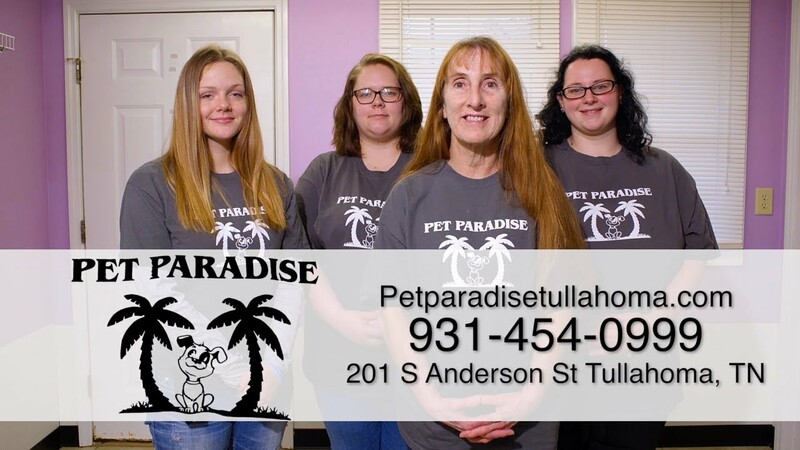 Pet Paradise is winner of The Tullahoma's Finest Award 15years in a row. As pet owners, they strive to maintain the best environment for your pet. They have 2 groomers, 2 bathers, and 2 kennel workers. Copyright ©2019 Pet Paradise Tullahoma. All Rights Reserved.